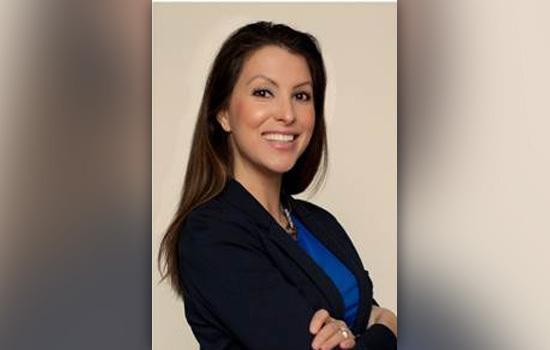 JJ DiGeronimo, president of Advancing Women in STEM, will be the keynote speaker at this year’s Women in Engineering WE Explore summer program at Rochester Institute of Technology. She will address the 60 students and parents participating in the program during a luncheon at 11:45 a.m. July 18 in the Multidisciplinary Center, on the fourth floor of RIT’s Kate Gleason College of Engineering. WE Explore is an activity-based summer program for girls in grades 10-12 to explore engineering careers. Participants work with RIT female engineering students, faculty from the college and local women engineering professionals to learn about careers in the field through panel discussions, research lab visits and conversations with engineering project teams. DiGeronimo, a national author, trainer and speaker, is best known for her advocacy for women, encouraging young girls in STEM and professional women in leadership strategies in the workplace. She began her career designing computer infrastructure for Fortune 500 companies after graduating from Ohio University with a computer information systems degree in 1994. DiGeronimo also consults on diversity strategies, particularly in the area of advancing women in the workplace into leadership positions. Her books include The Working Woman’s GPS, Before You Say Yes and The Confident Woman: Tapping into Your Inner Power. The WE Explore program is being hosted by the Kate Gleason College of Engineering’s Women in Engineering Program, and is part of a series of K-12 initiatives RIT sponsors over the summer.